Mazda Team Joest recently completed a very successful two-day test session at the Daytona International Speedway, home of the season’s first (and biggest) race, the Rolex 24 at Daytona. It was the first test on American soil for the new version of the chassis that has undergone an extreme makeover, improving its performance and handling dramatically. Testing serves to prove the speed and reliability of those changes and hones the effort of the crew and drivers. The new Mazda Team Joest aims to reestablish the brand at the front of the field in the IMSA WeatherTech SportsCar Championship by pushing hard to perfect the sleek Mazda RT24-P race car, which features many of the same KODO—Soul of Motion design elements as the passenger vehicles. Joest has won the overall title at the Rolex 24 while Mazda has 22 class victories at the twice-around-the-clock classic, but this year’s race will mark their first together as they take on competitors such as Acura (with Team Penske), Cadillac, Nissan and more. Bringing four decades of Joest’s winning results – and the new, improved race car – has meant a jolt of energy for Mazda drivers Tristan Nunez and Jonathan Bomarito. Bomarito, who teamed with Nunez the last three seasons, shares the same motivation. Mazda is on a mission to use cars as a medium to introduce traditional Japanese beauty to the world. 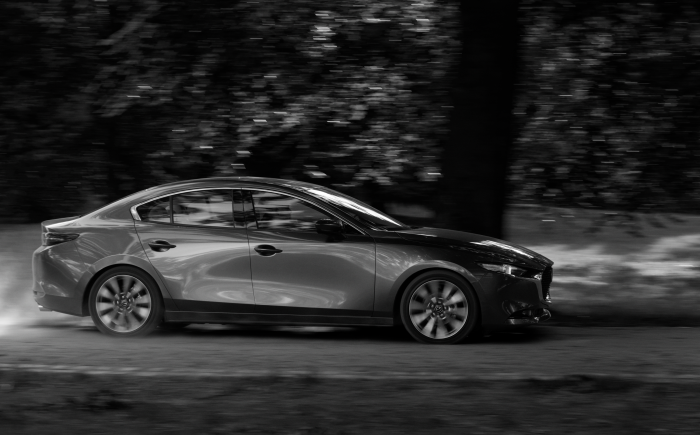 Leaning on their rich heritage as pioneers in world-class automotive design, Mazda designers bring profound depth to their vehicles’ design, resulting in a pure, essential beauty that raises the car to the level of fine art.